A master plan and catalytic development opportunities to re-energize a midwestern city. 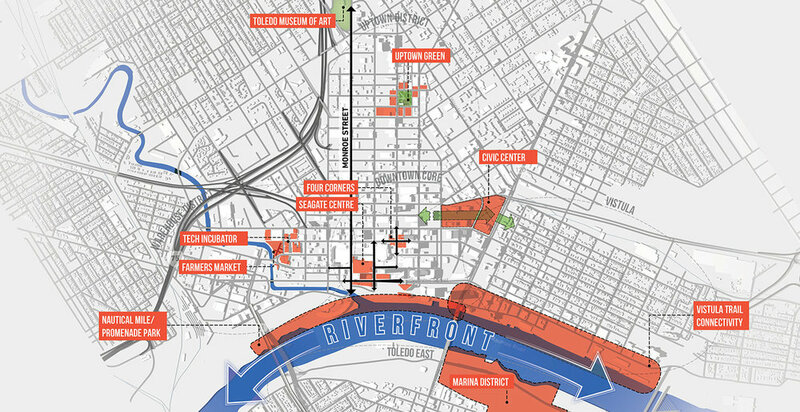 With jobs and housing returning to downtown and sports and entertainment drawing millions annually, Downtown Toledo is primed for investment in transportation, placemaking and riverfront redevelopment. In partnership with the 22nd Century Committee and the City of Toledo, MKSK led a multidiscipline team to develop a Master Plan for Downtown Toledo. The plan is focused on developing market-based, catalytic solutions to build on current momentum in the downtown and identify future opportunities. The Master Plan focuses on reinvestment along Toledo's greatest asset, the Maumee River, and activated corridors that accommodate all modes of travel including pedestrians and bicyclists. A new downtown riverfront Promenade will complement existing redevelopment efforts and lead to further investment. Across the River in East Toledo, the plan has been instrumental reimagining the reuse of vacant industrial ground. The Master Plan included a robust community engagement process including multiple open houses, an online survey website, traveling display and a downtown storefront to provide a permanent presence for the plan and to offer walk-in interactions. 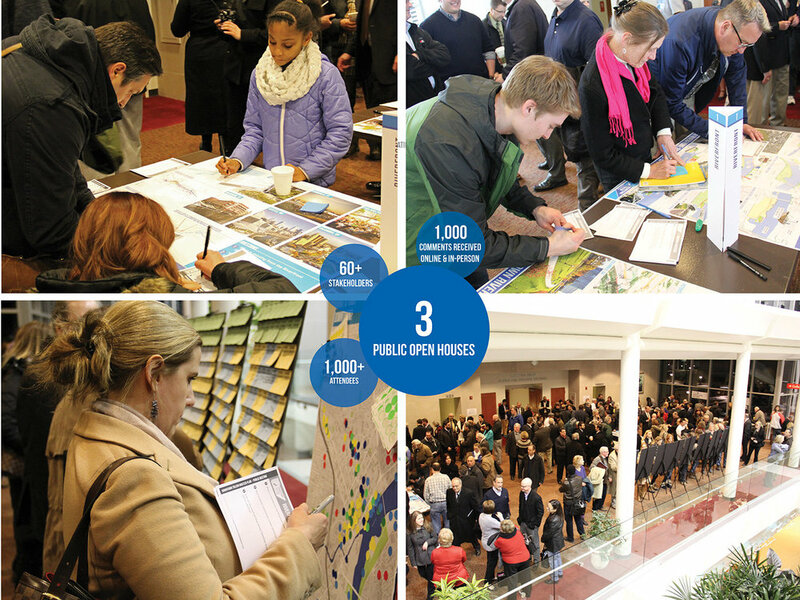 The public responded with more than 1,000 in attendance at the open houses and nearly 1,000 individual comments in-person and online, contributing robust input and interest is establishing a strong direction for the future of Downtown Toledo.